Andrew Horsfield is a performance consultant who advises leaders in business, sport and social enterprise. With deep expertise in advancing people and performance, he avoids fist pumping rah-rah preferring to deliver cutting edge capability that delivers real world results. Helping people perform at their peak is what gets him out of bed in the morning – sometimes way too early. 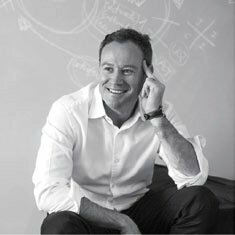 He has turned around disengaged teams, helped CEO’s champion organisational change and assisted professional athletes find another level. This interactive, motivating keynote will inspire people to pursue the highest levels of personal leadership so they can succeed in the future of work.